To ensure the best outcome for your project, you need people who know what they’re doing—every step of the way. Our experienced construction consultant professionals provide effective leadership, sharp attention to detail and a valued partnership you can count on throughout the life of your project. multifaceted part in such projects and provides the services from inception to completion of projects. At every stage of project life cycle, the principles of pro-activeness and creating the win-win situation is necessary keeping in mind the customer / client’s requirements. 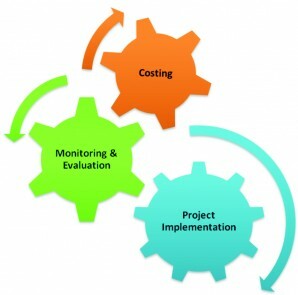 Use of Project Management Consultancy (PMC) offers one of the effective management solution to increase and improve the efficiency and outcome of a project in construction. A case study of construction of a Mega Industrial Project which is dealt by PMC and project consist of various type of buildings for Manufacturing unit, Assembling unit , Logistic unit , Process unit with allied Infra of Electrical utilities, Services like Fire fighting, Sewage line, Storm water arrangement and road etc have been considered for this research work.